If you do not see the answer to your question, feel free to send me an email. If the answer is there but you'd like a bit more detail, just leave a comment (no need to sign in or create an account to post). If the artist(s) you are considering is unable to provide references, be concerned. It's one thing for a musician to record a YouTube video from the comfort of their living room; quite another to replicate that live. I am deeply honoured to have been the soundtrack to so many dreams come true; and nothing humbles me more than a Bride compelled to put pen to paper. A job very well done. Thank you again for accepting my song requests. I know you worked really hard on preparing those songs for me. It truly was a joy having your music be a part of our day. Normalement, non. Quoi que je suis parfaitement bilingue, et que je suis capable d'interpreter des chansons en francais, ce n'est pas dans mon habitude de le faire. Si vous avez une chanson que vous tenez à coeur, je vous en prie, demandez. Si, d'autres parts, vous vous attendez à un répertoire complêt de chansons francophones, il vous faudra trouver un interpreteur francais. A ridiculously talented photographer - They say pictures are worth a thousand words... Leon's leave you speechless. Update: read through this interview I did with Leon for more information on his craft. If you're looking for a cake, cupcakes or specialty baking goods, send me a note. My God-Daughter is a baker by trade and while she claims she doesn't often do wedding cakes, based on the picture on the left, I'd say she's more than capable. Leon Switzer is a highly talented photographer based in Ottawa, Canada. His company, TotalPhoto, and his skills are sought after by brides and grooms the region over as well as festivals and concerts for organisers and promoters. His incredible talents have captured some of the most memorable moments in recent history and, increasingly, he is invited down south to sporting events because of his marked ability to seize that split-second flash of drive and determination in the athletes eyes. 1) Being a talented photographer such as yourself, you've no doubt captured more than your share of precious moments on film. What is the most memorable moment you can recollect where you did not have a camera in hand? I would like to go back to the Grand Canyon (I did not have my professional gear). That place is wonderful! Since then, I always make sure to carry my cameras with me, and never separate myself from them for that exact reason. 2) How would you explain your craft to someone who’s never seen a photograph before? I capture a moment in time, that I hope with age, like fine wine, will become better and have more meaning to more people. We are only here for a short time and in 20 or 30 years, to be able to have visual documentation for our future generations, to have a story told to them without the need for words is something I try to achieve with every flick of the shutter. 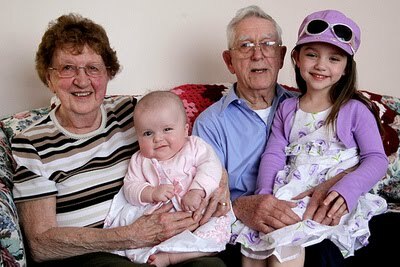 What would you give to have had professional pictures of your grandparents & great-grandparents? My craft is memories; my specialty is to make them age well. 3) In your expertise and travels, do you find tradition holding out, or are times changing? Let me think about that... In general, I'd have to say weddings have not changed all that much over the years. 4) What new trend (such as dancing down the aisle) would you discourage/encourage and why? I have to plug my Trash The Dress photo shoots. A woman will more than likely look her best ever on her wedding day. All to often there is such a small amount of time for photos on that day. Putting your dress back on a month or so after your wedding and making some unique and creative images is something I would encourage all brides to do. Does the bride or bridesmaid have to ruin their dress in order to do a "Trash the Dress" shoot? No, you do not have to ruin your dress to do this. I am currently working with a bride who does not like water, so I have some dry locations for her. It's more about juxtaposition... About capturing striking poses that would otherwise be impossible to capture. Unpredictable scenarios that add so much life and meaning to the dress and create so many more memories that truly define the person who wore it. 5) What is the most common, avoidable mistake a Bride & Groom make? Plain and simple....Do not do too much on your wedding day. Trying to cram too many things in will make the whole day less enjoyable for the bride and groom. 6) Given the chance, whose wedding would you most liked to have photographed and why? Funny story...NASCAR driver Carl Edwards just got married in the off season. 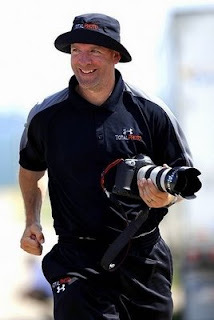 My 3 colleagues/friends that shoot NASCAR races with me covered his wedding. I could have attended, and we did chat about it, but in the end they had it covered. There were over 1000 people there, many celebrities, so I heard. 7) "TotalPhoto" seems to imply the complete package. 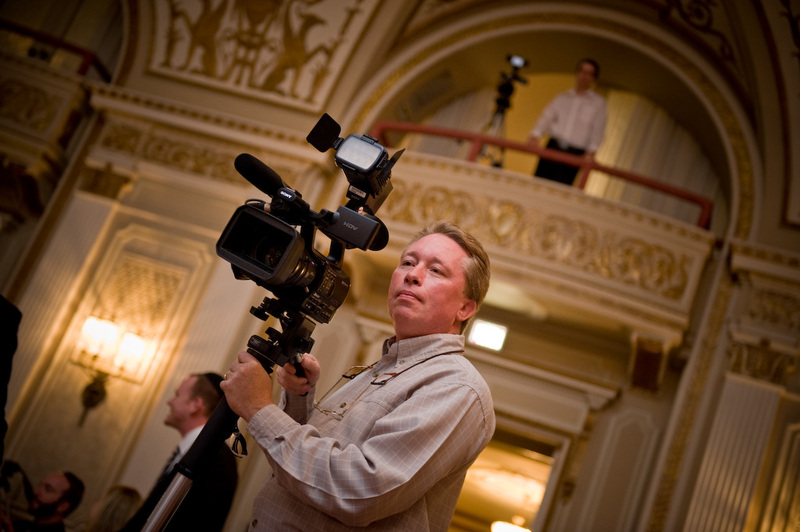 Do you specialize in any specific type of photography? I will accept any challenge, but recently I was told by a little bird that it would be in my best interest to specialize in just weddings. Though it was hard to finally do, I have since streamlined my website to showcase weddings and family events. I now post my professional sports photos exclusively on social networking sites such as Flickr and Facebook. 8) Speaking of total packages, what is your vision of the "picture perfect wedding"? The Perfect Wedding......A tropical wedding with just parents and immediate family. The bride and groom each have their best friends standing for them. A 20 minute service with a wonderful sunset dinner followed by drinks on the beach around a campfire.....and Luc, of course,.....they would have to have a guitar player there!!!!!! The following morning would be a 2 hour photo shoot on the beach at sunrise for the bride and groom only. Wow, would that be fun to shoot! 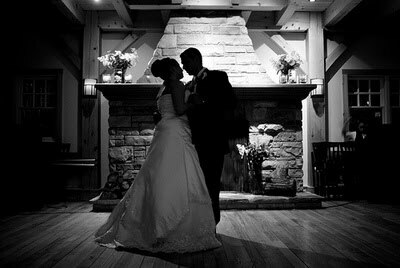 Leon Switzer is a highly talented Ottawa-based photographer and his company, TotalPhoto, is sought after by brides and grooms the region over as well as festivals and concerts for organisers and promoters. His incredible talents have captured some of the most memorable moments in recent history. As a way to freshen up my wedding-oriented blog, I invited Leon to answer a few questions about his passion. Below are the final 8 questions which give us more of a glimpse of the man behind the lens... Enjoy! 9) What core nugget of advice (mantra) do you have for aspiring photographers? Careful what you wish for! I would have never thought I would have done so many cool things, but a lot of the time it is WORK, and not as glamourous as everyone thinks. YOU'D BETTER LOVE IT! 10) What is the strangest thing to have ever happened to you (or near you) at a photo shoot? 20 minutes before a wedding I was shooting, the groom was in a car crash and was air-lifted to hospital while we all watched. Scary to say the least. He was lucky to have made it and it sure was one of those life lessons for everyone. 11) If you could have a super power, what would it be? The power to never need sleep. I have some late nights sometimes. I just find it is easier to work when my family is asleep. 12) Favourite TV show (when no one's around)? "American Idol"....nobody will read this though, right? Well most watched would be Days Of Thunder, but it would be anything by Clint Eastwood... "Unforgiven" comes to mind. 14) If you were a cartoon character, who would you be? "The only thing left to do is everything"
16) Favourite quote YOU made up? Someone else might have said it before me: "Sometimes you take a picture, sometime you make a picture." Coffee or Tea? Coffee at Breakfast, Tea before bed. Bungee Jump or Texas Hold'Em? BUNGEEEEEEEEEEEEE! Stones or Beatles? Tough! Goes back to my whole thing about history. Imagine being there with todays' cameras when the Beatles got off that plane in the US? Wow! Beatles it is. Thanks Leon. Your time and advice are greatly appreciated. To contact Leon, please visit: TotalPhoto.ca and tell him Luc sent you.